In the pantheon of jazz saxophonists, Charlie Parker has been among the most transformational of artists, despite not living nearly long enough to fulfill his potential. 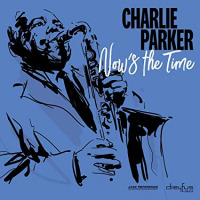 Parker's lifetime, as a principal architect of bebop, and a self-destructive force, has been documented ad nauseam but his music continues to significantly influence new generations. Since Parker's death in 1955, an unprecedented two-hundred albums of his music have been released, very few containing newly discovered material; it's a testament to his enduring legacy. This collection of reissues, Now's the Time, borrows its title from Parker's 1945 composition which was originally distributed as the B-side of a ten-inch shellac pressing on Savoy Records. In 1991, when Francis Dreyfus and Yves Chamberland launched what was to become the Dreyfus Jazz label, the two had a common purpose. Dreyfus, in particular, had been a jazz fan since childhood and dedicated the label to unearthing and restoring historic jazz collections. 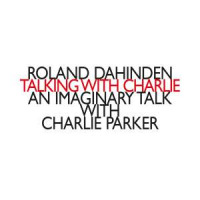 From the label's inception it has looked to mainstream legends such as Art Pepper, Bill Evans and Chet Baker to populate its catalog, and though both Dreyfus and the Verve label had issued Parker volumes of the same name, this version is unique in content and format. The Dreyfus version of Now's the Time is a vinyl-only release and one that the label has painstakingly reengineered. Parker had been part of pianist Jay McShann's territory band in the late 1930s, touring the southwest, Chicago and New York, but even at that time, he dedicated his practicing to taking improvisation beyond the Coleman Hawkins model. Disillusioned with the big band sound, Parker opted for smaller groups and more freedom to experiment. His innovative ideas are covered nicely across these tracks and while the emergence of bebop is the essence of this collection, the saxophonist doesn't abandon his Kansas City roots. "Night In Tunisia," the title track, "Ornithology" and "Scrapple From The Apple" all invoke the blues even while interjecting bebop phrases to wrap up measures. 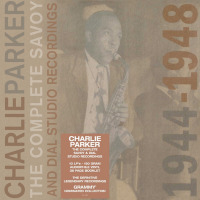 The LP features Parker's post-Kansas City formations: the Charlie Parker Quintet, All Stars, New Stars, Septet, and his Ree-Boppers, who originally recorded the title track. The quintet marked the professional debut of Miles Davis who plays in the majority of Parker's formations. Not surprisingly, the very young trumpeter (just out of his teens at the time) was hardly a standout presence on these recordings. The same is not true of some other young players in the various Parker groups, such as Max Roach and Dizzy Gillespie, who plays piano on the title track and on "Billie's Bounce." Along with Howard McGhee and Bud Powell these pioneers of bebop stand out thanks to the fine quality of the recording. Track Listing: A Night in Tunisia; Ornithology; Parker’s Mood; Now’s the Time; Relaxin’ at Camarillo; Bird of Paradise; Scrapple From the Apple; Moose the Mooch; Billie’s Bounce; Chasing the Bird; Embraceable You; Donna Lee; Out of Nowhere; Confirmation; Ko-Ko; Don’t Blame Me; A Night in Tunisia (The Famous Alto Break); Marmaduke; Steeplechase; Bluebird; Merry-Go-Round; Another Hair-Do; Ah-Leu-Cha.